The sights and sounds of Mong Kok. This here is the street just adjacent and running paralel to the famous Ladies’ Market on Tung Choi street. Unlike Ladies’ Market, which is lined with stalls on both sides, Sai Yeung Choi Street is lined with… street performers of all sorts. There are stalls too but they are not permanent and are more like impromptu stalls. It’s no less packed than Ladies’ Market as you can see from the video above. The background roar of the crowd can be heard (if you turn your speakers on) and just below it the sounds of the Guzheng and Erhu emanating from nearby street performers. 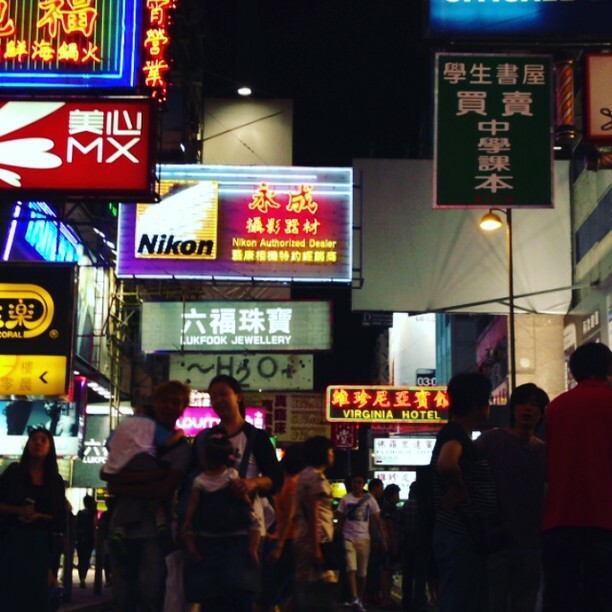 This entry was posted in Video and tagged kowloon, mongkok, neon, nights, signs, video. Bookmark the permalink.